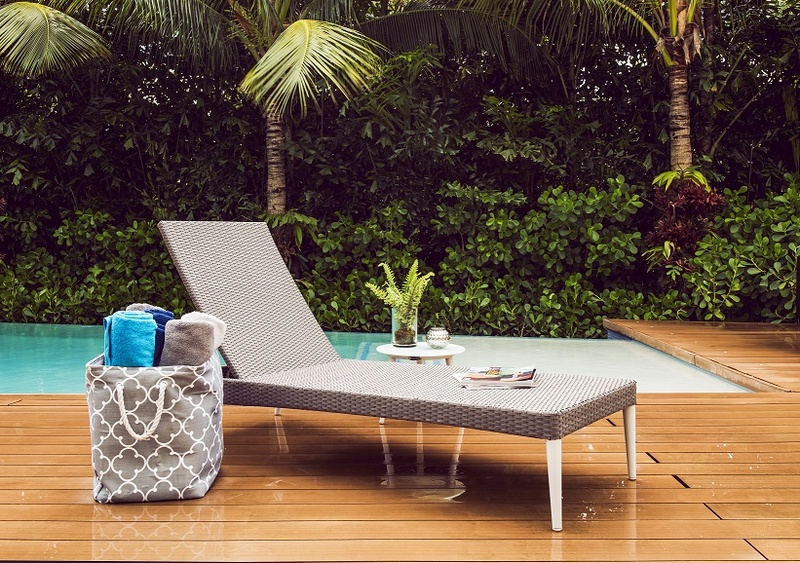 Cancun Wicker Chaise Lounge | ET&T Distributors, Inc. 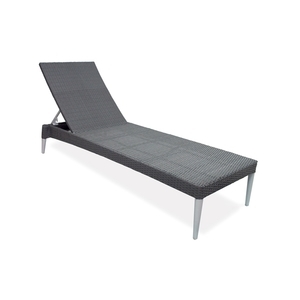 This fun chaise mixes a textured all-weather wicker with a slender powder coated frame. The tapered legs are reminiscent of classic mid-century design and give the pieces an airy quality. Add this piece to the Cancun Living Collection and build a beautiful sleek seating design. Dimensions: W25" D79" H15" SH15"